“Members of the Democrat caucus have increasingly and alarmingly used anti-Semitic language which has no place in the halls of this Congress and undermines the shared values and unbreakable bonds between the United States and Israel,” McCarthy said in a statement released Monday afternoon. Omar has repeatedly tweeted and retweeted remarks against Jews, Israel, and members of Congress supportive of them. 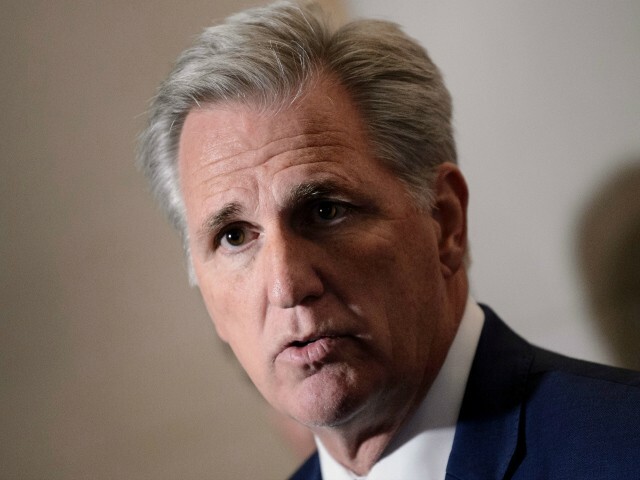 McCarthy warned in a Breitbart News Saturday radio interview on SiriusXM Patriot that if House Speaker Nancy Pelosi failed to act on the rise in antisemitic comments out of the Democrat caucus, Republicans would take action. He called Democrats remaining silent on the issue, “supportive” of those antisemitic remarks.